At SSHA, we are always in need of partners as we serve the homeless in our community. This support can take many different forms- monetary, volunteer hours, and household items. Making a donation to SSHA as a living memorial to honor loved ones can be completed on our contribute funds page. Thanks to your support, St. Stephen Housing Association is able to help homeless families with children achieve stability and transition to permanent housing. Did you know you can DOUBLE YOUR DONATION with Employee Giving Programs? Many companies offer matching grants for donations given by their employees to charitable organizations. If you are planning to give to SSHA, please consider checking with your employer to see if it will match the amount of your gift. Some companies will even match gifts made by retirees and spouses of employees! Washington State Combined Fund Drive -The Combined Fund Drive (CFD) is Washington State’s workplace giving program for active and retired public employees. State and higher education employees are invited to give to the charity of their choice through payroll contribution and agency fundraising events. You can direct your contributions to St. Stephen Housing Association by using Charity Code: 0456398. King County Employee Giving Program – * Employee Giving ID#: 9118 – The Employee Giving Program (EGP) is the workplace giving program for employees of King County government. It is an easy and cost-effective way for employees to support their favorite non-profit organization. EGP exists to make it easy for you to do good! AmazonSmile is a simple and automatic way for you to support your favorite charitable organization every time you shop, at no cost to you. When you shop at smile.amazon.com, you’ll find the exact same low prices, vast selection and convenient shopping experience as Amazon, with the added bonus that Amazon will donate a portion of the purchase price to your favorite charitable organization! You can support SSHA just by shopping with your Fred Meyer Rewards Card! With the Fred Meyer Community Rewards Program, your rebates, fuel points, and rewards are still available to you. 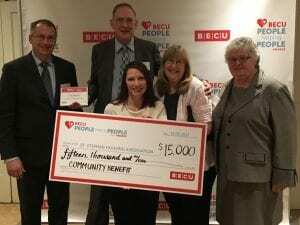 Fred Meyer makes the donation to SSHA based on your purchases. 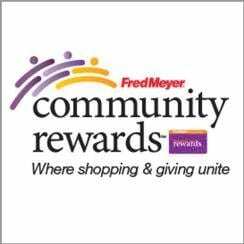 Click here to link your Fred Meyer Rewards to St. Stephen Housing Association. You can search for us by our name or by our non-profit number – JY857. Then, every time you shop and use your Rewards Card, you are helping SSHA earn a donation! SSHA is in need of the following items on a continuing basis to be able to provide the newly housed families with basic household necessities. Please give articles that are in good condition. Washers and dryers in good working condition; 10 years old or less please. 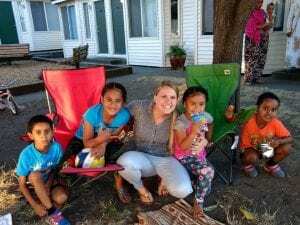 St. Stephen Housing Association loves its volunteers! Our generous volunteers keep our units in tip top shape and help our office run smoothly. If you are looking for a way to give of your time, please consider us. Office support, including filing, answering phones, greeting guests, and other special projects. To volunteer, email or call the SSHA office at 253-638-9798.